The IT minister of Goa, Rohan Khaunte, compared the online Battle Royale game to a demon and said that a law should be in place to restrict the game in Goa. Goa IT minister says PUBG has become a “demon” in every house. As per the govt official, a law is needed to restrict the online Battle Royale game. PUBG has been blamed for being addictive and violent by some government bodies. 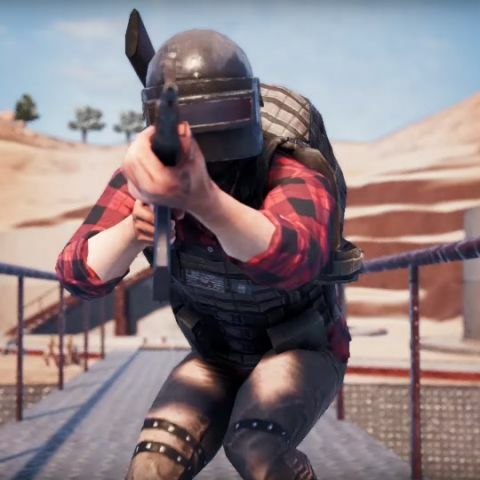 Playerunknown’s Battlegrounds or PUBG is one of the most famous Battle Royale games that has made a mark in the online multiplayer gaming space. The title’s mobile version has managed to fare even better than its PC or console version with PUBG players in India preferring to play the game on mobile phones. However, the game is being seen in a negative light as it is blamed for being addictive. Even the Indian Prime Minister, Narendra Modi, knows about the game as he mentioned it during an event. Now, PTI reports that Rohan Khaunte, IT minister of Goa says that the game has become a “demon” in every house. This comes soon after the Delhi Commission For Protection of Child Rights (DCPCR) issued an advisory to the Directorate Of Education (DOE) and Municipal Corporation of Delhi (MCD) schools to be wary and protect children from the harmful effects of games that are “full of misogyny, hate, deceit and vengeance”. PUBG has also been blamed for bad grades of students and Gujarat government has already banned it in primary schools, with the Jammu and Kashmir Student Association requesting for the same. We would like to reiterate that not only gaming but anything in excess can be considered harmful. As for the game being addictive, the onus falls on parents and guardians to ensure that children are not spending too much time stuck to a screen, be it a smartphone, laptop or TV. powerbank to be brought around 10k mah power and budget arround (10-12)k and it should be in stock ?